HOUSTON (Reuters) - Saudi Aramco's delayed initial public offering is sidelining grand North American expansion plans at its U.S. refining subsidiary Motiva Enterprises LLC, people familiar with the matter said, at a time when its rivals grew their market share. After dissolving a partnership with Royal Dutch Shell PLC two years ago, Motiva set out to rebuild and boost market share in the Americas. It evaluated deals for LyondellBasell Industries NV's Houston refinery, with the Caribbean government of Curacao, and considered expanding its sole U.S. oil refinery. "They were very handicapped by the fact that the kingdom was contemplating the IPO," a refining consultant to Motiva said, speaking on condition of anonymity as the talks were private. "What they told us was 'until this gets done or resolved, we cannot do anything.'" "We don't comment on anything specifically, but we do want to increase our refining capacity," said Todd Fredin, the company's head of supply, trading and logistics. Vision 2030, the Saudi Crown Prince's signature economic program designed to lessen the kingdom's reliance on oil, also undercuts the need for U.S. expansion, said Andrew Lipow, president of refining consulting firm Lipow Oil Associates. "They are in the process of trying to look toward 2030, and adding assets outside of Saudi Arabia" is not as critical anymore, he said. "A refinery in the United States doesn't create jobs in Saudi Arabia." This year, Exxon Mobil Corp embarked on a multi-billion dollar refinery expansion and Chevron Corp added a second Gulf Coast refinery as the two largest U.S. oil companies take advantage of record production out of Texas shale fields. The United States is now the world's top oil producer, pumping more than 12 million barrels a day. "Economy of scale is very important for refiners," said Joseph Israel, chief executive of Houston-based refiner Par Petroleum, whose parent last year acquired a Tacoma, Washington, plant and new refining capacity in Hawaii. "The right kind of growth typically supports efficiency, commercial flexibility, and visibility in the market." In February, Motiva ended talks with Curacao over a request to operate its 335,000 barrel-per-day Isla refinery and storage terminal. Those discussions ended after the Isla refinery's supervisory board in January disclosed a corruption probe into selection process for a new operator. "They didn't want to be dragged into a corruption scandal – it was fraught," said another refining consultant familiar with the Curacao talks. Before its split from Shell in 2017, Motiva weighed buying LyondellBasell's 264,000 bpd Houston refinery to replace plants it was turning over to Shell. Motiva pulled out of the sale process fearing it could be seen as overpaying for the plant after outbidding other refiners, said a person familiar with the talks. The plant was taken off the market after no bid reached Lyondell's desired minimum price, the person said. 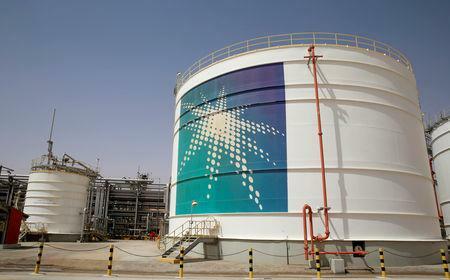 The company has shifted at Saudi Aramco's direction toward petrochemicals. The U.S. operation recently gained its parent's approval to build a $5 billion steam cracker to produce ethylene, a plastics building block, that would start operations by late 2022, according to documents reviewed by Reuters. Recently, it requested proposals from investment banks to evaluate its options should CITGO Petroleum Corp, the U.S. arm of Venezuela's state oil company, go on the market, according to two people familiar with the matter. "Motiva has been allowed its freedom and is heading in all directions at once," said the person familiar with Motiva's Curacao talks, speaking on condition of anonymity. "There's initiative fatigue."